…is a folk song lyrics. 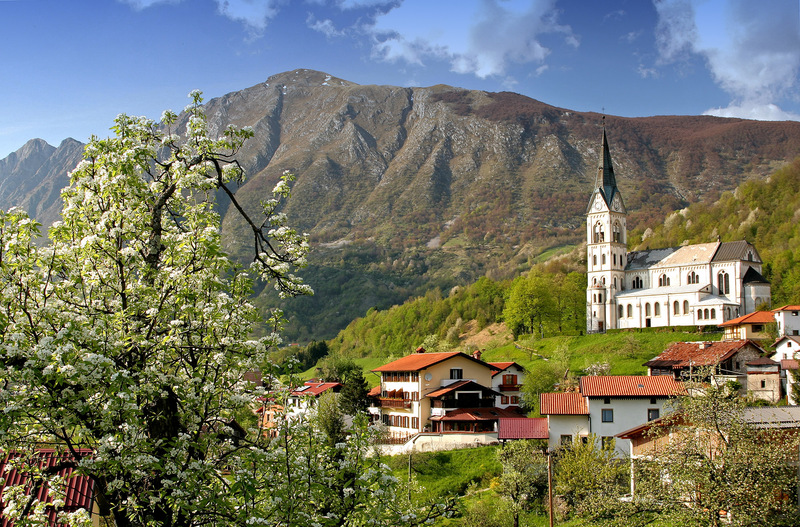 At the foot of the mighty mountain Krn and surrounded by the Julian Alps lies Drežnica. A small mountain village, located on the left bank of the Soca River, one of the most beautiful mountain rivers. It is only 5 km from Kobarid, from where you cross the Napoleon Bridge, continue along the winding road on the slope of Ozben. As you come to the top of the plateau, you can see the beautiful landscape, hidden from an ordinary tourist, and enter a world away from the traffic and noise. Cosiness, warmth, old traditions, peaceful environment and pure unexplored nature have been preserved to this day. The guesthouse is located in the village, just beneath the church of »Srce Jezusovo«, which is one of the most beautiful religious monuments in the valley. You can find us by following the marked path.